The date of the 2015 Painkiller Cup in the Virgin Islands has just been announced. Check out the event details here. SUP Race on St.John in the beautiful US Virgin Islands. The will be 3 different courses, the Elite Course is a triangular course out into the ocean around a little Cay and back in, sounds easy but with wind speeds of often 20-30 knots, it can be challenging. The 2014 N1SCO season is already in full swing with races happening all over the globe! Over 60 events in more than 15 countries are currently scheduled on the calendar in preparation for the biggest race of the year – the 2014 N1SCO World Championships! The purpose of the SUPAA race official certification course is to give race officials the tools and knowledge necessary to properly execute the SUPAA rulebook. Upon completion of the course, race officials must pass the written exam to become a certified SUPAA race official. 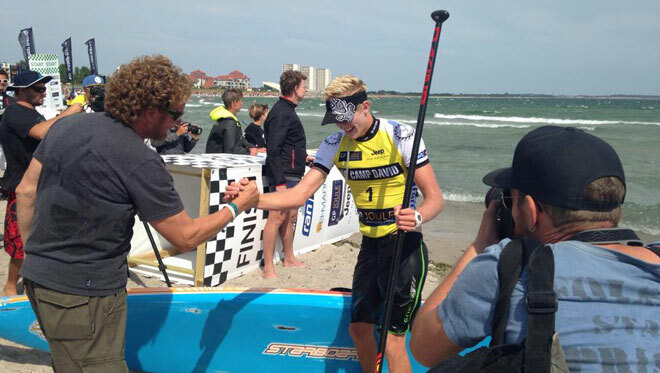 Die German SUP Challenge is celebrating it’s 5th birthday in 2014 and returns with new, stunning ocean locations.